Today I came across Leanne Marshall's blog, Pedals and Waves. Leanne is a fellow FIDM alumna and was Project Runway's season 5 winner. I was, and still am, a big fan. These are a few photos from her current collection and look book. 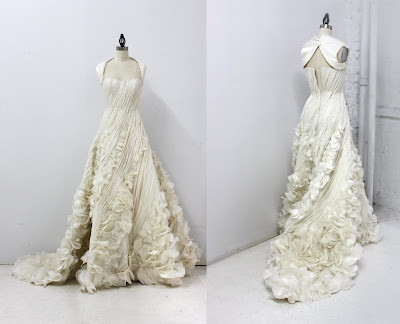 Below is a custom wedding dress she designed for a client. Amazing! Below is a photo of Leanne for an interview with Time Out New York.